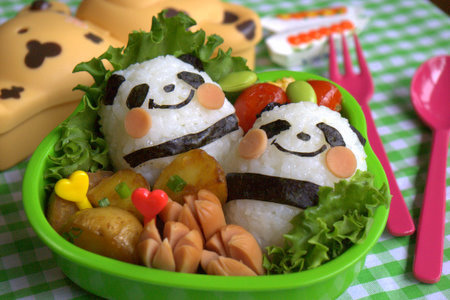 Panda bento box by luckysundae. This entry was posted on Saturday, December 13th, 2008 at 11:48 am	and is filed under Uncategorized. You can follow any responses to this entry through the RSS 2.0 feed. You can leave a response, or trackback from your own site. How did you make those? What did you use for everything in that picture? I want to make it too!! !